You know that saying, 'wear your heart on your sleeve'? Out of Print abides by a similar rule: wear your favourite book on your shirt! Out of Print is a company that makes stylish tees and accessories printed with classic or out of print book covers. But the brilliance doesn't stop there. In their own words: "[As well as] spreading the joy of reading through our tees and accessories, we acknowledge that many parts of the world don’t have access to books at all. We are working to change that. For each product sold, one book is donated to a community in need through our partner Books For Africa". So not only do you get to look good in a cool graphic tee; you get to feel good because you're supporting a great cause, too. I've been a fan of Out of Print for a while, because I'm passionate about literacy and fashion, which are the two things Out of Print stands for. When they offered to send me a shirt in exchange for an article about their company, I jumped at the chance! 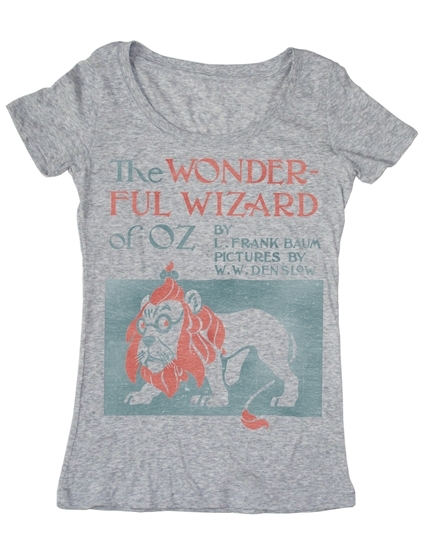 I'm now the proud owner of a gorgeous, incredibly soft Wonderful Wizard of Oz tee, and the excited writer of a blog post about what's probably my new favourite company. Wearing this shirt makes me awfully nostalgic about the first time I read the Oz books... So much so that I think I'm going to reread them! I also can't stop touching the fabric-- it's delightfully soft. 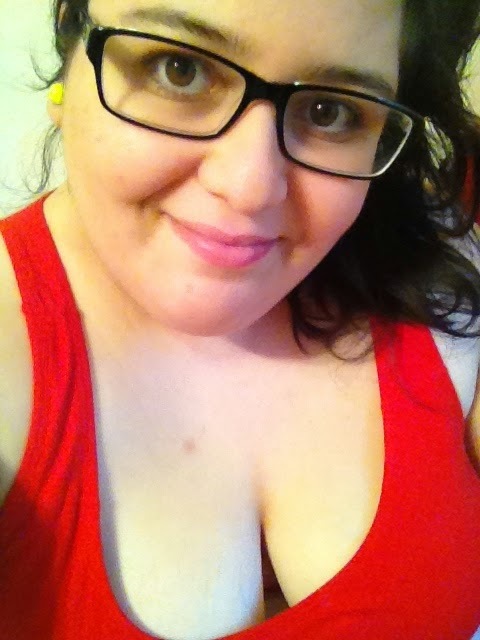 And the cut of the shirt is very flattering. It's all-around awesome. I think you need one! Want to celebrate the world’s great stories through fashion? Visit Out of Print. I never endorse companies/products which I'm not absolutely thrilled by. This post meets FTC guidelines.